Two Queensland suburbs have been marked as ‘hotspots’ by the Housing Industry of Australia’s Population and Residential Building Hotspots report, which reveals Australia’s strongest performing markets for new home building and population growth. Pimpama and North Lakes – Mango Hill were ranked seventh and 15th respectively in the national top 20 building and population hotspots list. Nationally, a ‘hotspot’ is defined as a local area where population growth exceeds the national average and where the value of residential building work approved is in excess of $100 million. According to the report Pimpama also achieved top place on the Building Momentum Shortlist and saw $129,080 in approvals across 2014-2015, and an estimated $318,411 across the 2015/2016 financial year to date. The 2015/2016 estimated growth in Pimpama Residential Building Approvals is 147 per cent. The report shows Pimpama achieved population growth stronger than the national average of 1.4 per cent from the three years to 2014/2015. 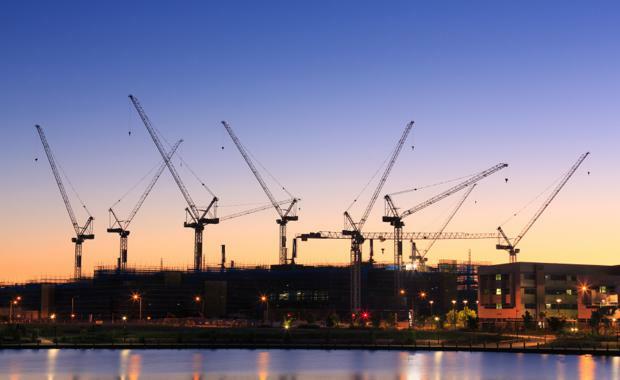 The ACT – South West region topped the list with an annual population growth rate of 127.3 per cent and $216.5 million worth of new residential building approvals. National growth: HIA[/caption] HIA economist Diwa Hopkins said Pimpama’s appearance on the list is reflective of a strengthening Gold Coast market. “The Pimpama region on the Gold Coast is strong addition to our report; this region has replaced the more regional mining towns which have featured on behalf of Queensland in previous years. It’s encouraging to see the Gold Coast experiencing a positive growth period following some tough conditions there,” she said. “New home building in Queensland as a state has broadly recovered at historical highs – Queensland’s south east is benefiting from this, which is reflected through the rankings of North Lakes and Pimpama in the report,” Ms. Hopkins said. The results come less than a week after Villawood Properties announced plans for its $500m community development at Helensvale, a 10-minute drive from Pimpama.